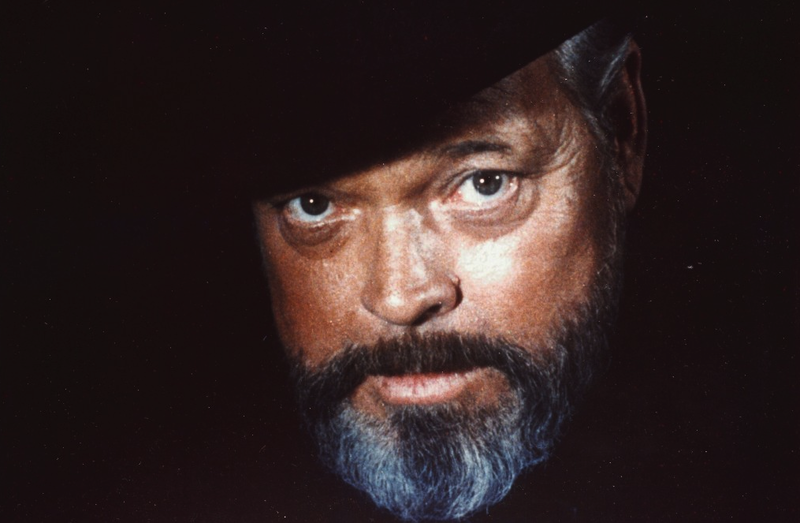 In his wine-swirling seventies period, Orson Welles changed the documentary form forevermore with 1973’s F For Fake. Initially just jobbing as narrator for a BBC documentary on art forgery, Welles took the project under his cape and presented a loving tribute to chicanery, deception, misdirection, dishonesty, and fecundity in all its myriad guises. In the peculiarly reflexive film, being a faker and being an artist are one in the same for Welles, he himself the master magician who stirred up a moral panic with his 1938 radio performance of H.G. Wells’ The War of the Worlds. Using the notorious master art faker Elmyr de Hory and his equally notorious biographer Clifford Irving as a stimulus, Welles flamboyantly pivots his wryly funny and personal essay on the testy relationship between authorship and authenticity; art and commerce; artist and audience. Purposefully complex and difficult to decipher, Welles structures F for Fake as an extended monologue, a point-counterpoint speculation on how and why de Hory and Irving pulled off their respective fakes, so much so that they – just like him – built success and fame out of the practice. Light in tone, his only interest is in falsifying the facts, raising more questions than answers through the experimental melange of documentary, essay, narrative, hoax, and cinematic vaudeville. Such a discursive quality leads to the film’s undoing. With Welles’ narration relying quite heavily on repetition, his artistic intent in the project becomes more muddled and obfuscated. Sometimes we don’t know where to look or which of his observations to retain through this otherwise compelling journey. Ahead of it’s resurrection by the BFI in London, forty years on from it’s initial release, the film is still unique, even if it’s potency and themes of questioning art and media representation has waned in the contemporary, contrarian world. At it’s most successful, F For Fake unexpectedly charters the life of Welles straight from the pontificating stallion’s mouth. Segueing away from the Hory/Irving case study, he explains about his experience as a forger in theatre, radio, and onto the successes of Citizen Kane. It’s a candidly frank account which is an absolute pleasure to see, even in its brevity. Undeniably Welles’ most ostentatious work, F for Fake is a frolicking experiment into the barebones nature of artistic expression. A bold concept to portray, it’s a good thing that one of the best artists of all time is the one playing ringmaster. F for Fake opens in selected cinemas across the UK and Ireland on August 24th; a full list of venues and more info can be found here.